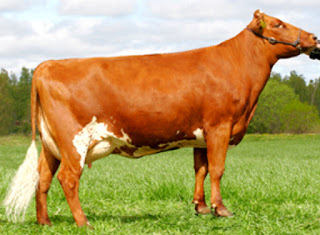 Swedish Red cattle are medium sized animals with mostly red body color with patchy white spotting. They are usually polled and don’t have horns. The breed has similarities with the West Finnish cattle.